Although the Environmental Protection Agency strives to enforce clean air practices nationwide, the EPA does not have the authority to enforce vehicle inspections. Instead, each state administers and determines requirements for smog and emissions testing. Each state’s transportation department determines if smog and emissions tests are necessary and if so, at which frequency should testing occur. In addition, some states enforce requirements only in certain areas that are more populated or houses more vehicle activity than other jurisdictions. To find out more about the testing processes including which states require smog and emissions inspections, read below. What are smog and emissions inspections and why are they necessary? A smog test or an emissions inspection reveals how much pollution a vehicle produces. Automobiles are not manufactured the same and some vehicles require smog testing while others do not. Older, antique vehicles are exempt from smog and emissions testing because manufacturers constructed these models prior to the possibility of parts that are more efficient. In addition, many new cars do not need to go through smog and emissions inspections, as they use the most efficient and clean engines available on the market. If you do not want to be subject to smog or emissions inspections, the team at Car-Registration.org strongly recommends purchasing a new vehicle with the most efficient, fuel-burning techniques available. Unfortunately, with so many cars on the road it is impossible to eliminate emissions produced by vehicles completely, which is exactly why states continue to require these tests regularly. Which states require smog and emissions inspections? States that are vast with rural lands and not many drivers often do not require smog inspections. In addition, areas that experience lower populations may not require smog inspections. However, as stated prior, even though your state of residence may require smog inspections, if you live in a quieter, more remote area you may find that your county does not require emissions tests. Likewise, your county may require smog and emissions check while other counties in the state do not. 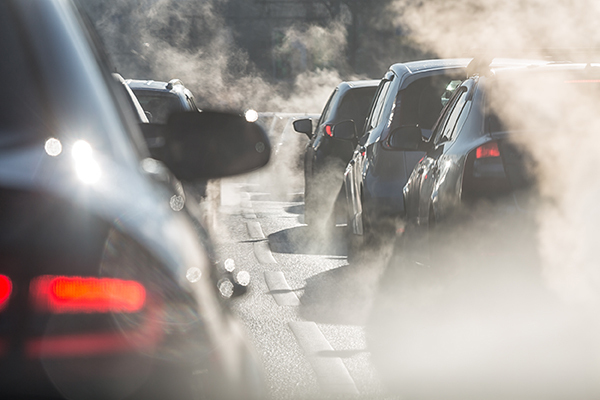 The following states currently require smog and/or emissions tests of their drivers: Arizona, California, Colorado, Connecticut, Delaware, District of Columbia, Georgia, Idaho, Illinois, Indiana, Louisiana, Maine, Maryland, Massachusetts, Missouri, Nevada, New Hampshire, New Jersey, New Mexico, New York, North Carolina, Ohio, Oregon, Pennsylvania, Rhode Island, Tennessee, Texas, Utah, Vermont, Virginia, Washington and Wisconsin. For quick reference, the states that do not include smog/emissions testing currently includes: Alabama, Alaska, Arkansas, Florida, Hawaii, Iowa, Kansas, Kentucky, Michigan, Minnesota, Mississippi, Montana, Nebraska, North Dakota, Oklahoma, South Carolina, South Dakota, West Virginia and Wyoming. The team at Car-Registration.org advises drivers in these states to verify for local officials about county or city requirements. How do inspectors perform smog and emissions tests? Smog and emissions tests require thorough inspection of vehicles, both inside and out. The first step is to check the emissions control components and systems of the car visually. Next, qualified inspectors perform a functional inspection by reviewing the check-engine light, the ignition timing, inspecting the gas recirculation system, looking over the fuel evaporation system and checking the gas cap. Officials will then thoroughly inspect the OBD (On-Board Diagnostic) system. Finally, they measure the emissions from the tailpipe of the vehicle. When a vehicle passes the smog test, the driver receives a certificate. The driver presents this certificate to the DMV to keep on file. If a car does not pass a smog/emissions test, the vehicle owner may need to perform further services on the car to meet the state’s standards. The team at Car-Registration.org recommends reviewing the state’s requirements regarding smog and emissions checks to schedule inspections accordingly.